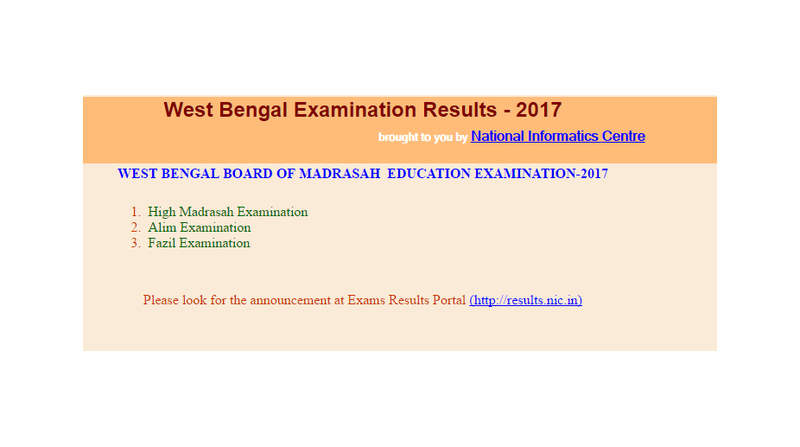 West Bengal board of Madrasah Education has declared the exam results for High Madrasah Examination, Alim Examination and Fazil Examination on the official website wbresults.nic.in. Candidates trying to get the West Bengal board of Madrasah results 2017 have to visit the official website and follow the instructions to get the results. Candidates are advised to keep the important information including roll number, registration number, date of birth to check the results.